Xbox Play Anywhere is an Xbox service which allow a user to buy the digital version of a participating video game whether from Xbox Store or on the Windows Store once, and then be able to play that game on both his/her PC and Xbox One console. This service is due to be launch on the 13th of this month of September 2016 having ReCore to be the first game to be made available on this service, since it is the only participating game that will be launched on the same date. The Xbox Play Anywhere service is a good service to Xbox game lovers because you can take your game anywhere you are –not the Xbox One console but their PC. This is how the Xbox Play Anywhere service work. Any game that is participating in the Xbox Play Anywhere service will be marked the Xbox Play Anywhere icon on the Xbox Store or the Windows Store so that you can quickly recognize them. Once you purchase one (any of the participating game) you when be allowed to download and play it on both your Xbox One console and your Computer running the Anniversary update or later of the Windows 10 operating system (OS) at no additional cost. But you might wonder, how can I bypass the buy button and see the download button? That is a good question. The answer to your question lies in the Xbox Live and Microsoft account you provide when acquiring your Xbox Play Anywhere title. You see, when you are purchasing an Xbox Play Anywhere video game for the first time, you be required to provide either your Xbox Live or Microsoft account to get your Xbox Play Anywhere title. Once you have, just log in with the Xbox Live or Microsoft account your provided during the first purchase in your PC or Xbox One console you want to download the video game to, and that is it. Because once you did, the buy button will be changed automatically to download if you have already purchased the game. Wondering how the participating Xbox Play Anywhere video game progress synchronizing is done? If yes, this is the answer. When you play a game that is on the Xbox Play Anywhere service, your progress in the game will be saved to your Xbox Live account so that when your log into your Windows PC or Xbox One console again, you will pick up where you left it. 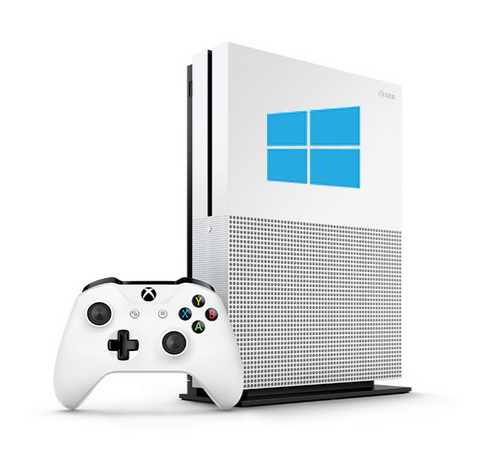 This implies that all your saves, achievements, game add-ons including downloadable content (seasons passes, consumables and in-game unlocks) for the games you earn or buy are going along with you, everywhere is playable on both the Xbox one console and your Windows 10 PC, so your progress and everything about the game goes along with you. But the only dark side is that, as of now, the Xbox Play Anywhere service is only available to digital participating video games and not the disc games, this implies that even if you have the disc game of the participating Xbox Play Anywhere video game, you will not be able to save your progress in the game will playing the disc version and not the digital version of the game, so you will be needing a considerable amount of internet data subscription from your end since you will be required to be online all through your gaming session, and also you will not be able to log into the game on both your Xbox One console and your Windows 10 computer at the same time, but must be done after one have been logged off. But apart from this, the Xbox Play Anywhere service is awesome. What do you think about the Xbox Play Anywhere service which is set to roll out on the 13th of September 2016 this year?